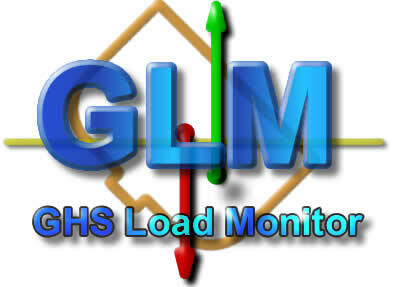 GHS Load Monitor (GLM) is a software program used aboard ships to monitor stability and/or strength with various loads. It gives vessel operators the ability to quickly check the safety of present and anticipated loading conditions. Tell me more. GLM does not rely on precomputed hull and tank characteristics; rather, it computes these directly from geometrical models of the ship and its tanks. This simplifies the initial data preparation and eliminates a source of errors. It also leads to more accuracy over a wider range of trim angles, and makes possible flooding and grounding calculations using the same software. Tell me more. GLM is straightforward and easy to use. It is entirely under menu control where the operator need only select among choices presented on the screen. A spreadsheet-style interface parallels graphics showing the locations of tanks and other weights items. The program presents immediate responses of draft, trim and stability margin when the operator changes loads. Connections to tank gauging systems can also be arranged for automatic tank load monitoring as well as logging of latitude and longitude for uptake and discharge of ballast water. Yes, but why do I need it? Special versions of GLM can easily be produced to meet special requirements. The flexibility of this program and the willingness of the developers to meet special requirements cannot be overemphasized. Many features are available through configuration settings, making it economical to apply GLM to all kinds of vessels without incurring extra development costs. For crane and offshore applications, detailed simulations of cranes and mooring systems can be included in the configuration. For tanker applications, volume expansion of petroleum products with temperature change is available. Integrated tug/barge systems can make use of the GLM Multi-Body capability to find loadings that minimize vertical force at the coupling. A Ballast Advisor feature helps determine the amount of ballast to shift in order to achieve trim and list corrections. Hull-twisting torque calculations and flexible container loading arrangements are available for container ships. High-quality, scalable, graphical views of loading conditions that accurately show tank loading levels are available in a wide variety of configurations. These can be viewed on screen and also included in reports. Righting-arm curves and various longitudinal strength curves are also available both on-screen and in reports. The GLM software is available not only from Creative Systems but also from many of the naval architects who use GHS in the course of preparing Trim and Stability books. Supplying GLM along with the T & S book is a cost-effective way to make sure the client is able to make good use of the information. When does GLM become obsolete? GLM has been installed on hundreds of vessels including tankers, bulkers, container ships, drill ships, research vessels, naval vessels, ice breakers, fishing vessels and passenger vessels.